I posted on here the other day (with a video) that Chelsea were in talks to sign "The New Kaka" Lucas Piazon and today the club have made an official announcement that the deal has been done!. 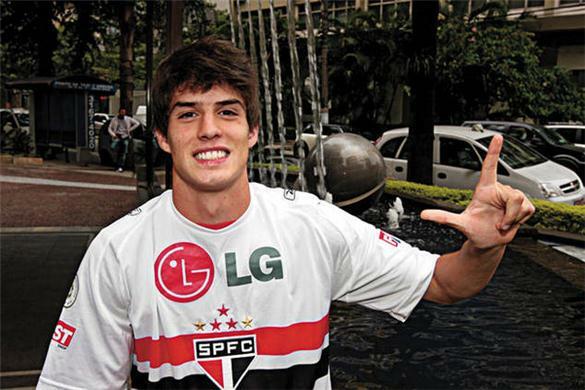 Chelsea has agreed terms with Sao Paulo FC for the transfer of Lucas Piazon. The player has signed a pre-contract agreement and is expected to join us in January 2012 on a long-term deal. Piazon is a 17-year-old attacking midfielder who is currently representing Brazil at the South American Under 17 Championships, having previously finished top scorer with 10 goals in the Under 15 Championships in 2009 when his nation were runners-up. He was named player of the tournament in another Under 15 international competition held at Old Trafford. He has scored twice in three games in the on-going Under 17 Championships in Ecuador, a winning goal versus Venezuela and a strike in a defeat against Paraguay that broke through the net. Brazil are next in action later today.